Enticing people to buy a business for sale in Augusta GA can be a very difficult endeavor. You will need help from a few people as you go thru the process. The profit you will get as a seller will rely on the grounds for the sale, the timing of the sale, the power of the business’s processes and procedures, and the unique attributes of the business. If you plan to sell your business in Augusta GA, it will take a lot of patience and effort. Knowing what to do can help you create a concrete plan and make your negotiation on the business for sale in Augusta GA a success. What were your reasons to sell your business in the first place? Figure that out before you even find a potential buyer because the buyer will likely ask you why. 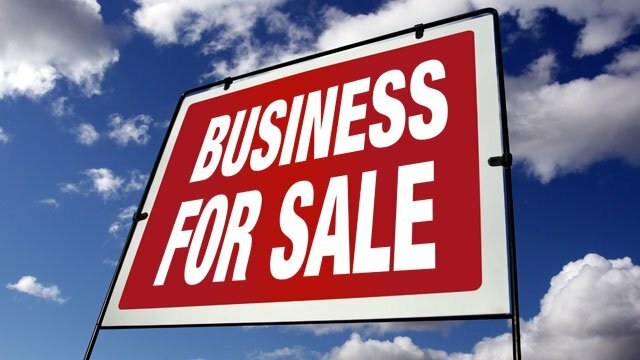 Business owners usually sell because they might be bored with the business, it is too much for them to deal with, a sudden illness, a death in the family or of the owner, a dispute in a partnership or it could simply be for retirement. Some owners sell their business even when they don’t profit from it, but it is really a challenge to get buyers. Make sure to think through the business’ capability to sell, if it is ready to be sold as well as the timing. You can make your business look more appealing by getting a major contract that will last for a good couple of years, a powerful customer base, steady income statistics and increasing profits. When it comes to selling your business, you have to prepare for it as early as you can. According to experts, you should be at least ready for a year or two. Why? Preparing early can help perk up your customer base, business structure and financial records and make your business more cost-effective. The improvements can easily help the business when transitioning to the new buyer leaving the business running effortlessly even after it is sold. You have to be realistic when it comes to knowing the worth of your business. Make sure that you do not market it for a price worth more or less than it should. Have a business appraiser value it so it can help you decide. They will help you make a detailed explanation of your business’ worth. The document that they will give you can also add plus points when it comes to your trustworthiness when a buyer asks for a price. You know how hard selling a business can be. It is very time-consuming and quite a demanding process. Hiring a qualified business broker has a lot of benefits because they will guide you every step of the way. It can also help you focus more on running the business diminishing the peril of business erosion. Integra business brokers are the best ones around to help you get through the process and we’re tried and tested. Make sure you have the necessary pieces of paperwork produced in your business such as financial statements, tax returns, inventory and even your list of suppliers as your buyer might need it as well. Finding the right one is never easy but don’t lose hope. Advertise when you can, never limit yourself, it always works. Last but not least, when you successfully make the sale, do not splurge with your profit, invest it in something worthwhile and maybe then it will prosper into something more. Should You Buy A New Business Or Start Your Own?